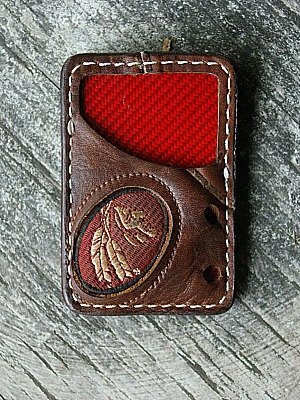 Let’s talk about a men’s front pocket wallet, OK? Are you sick and tired of having back pain because your wallet sits on your hip? Hey, gunslingers carried their smoke wagons on their hips, too, but you never saw them sitting on a gun, did you? Nope. So, modern-day gunslinger…. 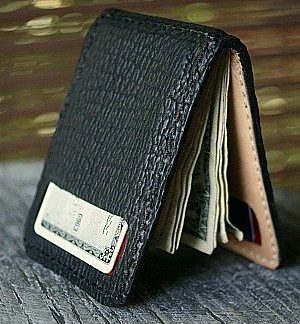 How about a front pocket wallet? A front pocket wallet will solve all your issues with your back and this one will save you from pack-rat status, too. No more old receipts, ticket stubs, or free car washes that expired in 2002. Nope. We’ll keep you feeling better and looking better when you pull out that gorgeous Nokona Glove Leather wallet. 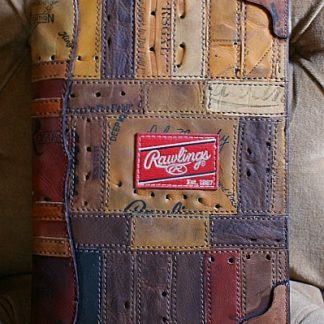 You’ll think about your baseball days or wait… Maybe use your dad’s glove. How cool would that be. 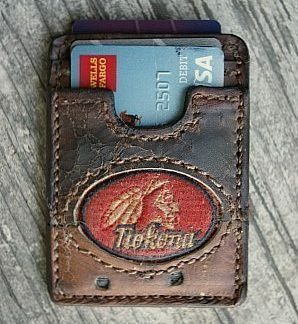 This is a custom men’s front pocket wallet, and we can build one for you — any way you want. Let us know!